Under no circumstances should an enemy state be allowed to acquire nuclear weapons. That is a fundamental doctrine of Israel’s security policy shaped by Prime Minister Menachem Begin at the end of the 1970s. To this day, Jerusalem has tried to act accordingly – mainly in regard to Iran. For many years, military analysts around the globe have speculated about an Israeli air strike against the Iranian nuclear facilities. But would the Israeli air force be capable to execute such an operation? Well, so far, the IAF succeeded twice in striking decisive blows against enemies’ nuclear programs – in Iraq in 1981 … and in Syria in 2007. At the end of 2006, Israel’s intelligence service detected a suspicious construction site in a remote region in northeastern Syria, close to the river Euphrates, 30 kilometers from Deir Az Zur. The construction area was covered with a huge roof that blocked the view from above. Obviously, the Syrians tried very hard to hide something there. Israel’s intelligence agency suspected a secret nuclear program at the site. Soon, this suspicion was confirmed by an unexpected, high-ranking Iranian source. Gen. Ali Reza Askari had been security adviser of Iran’s former president Mohammad Khatami and vice minister of defense for several years. After the election of Mahmoud Ahmadinejad in 2005, he fell from grace and, thus, defected to the United States in February 2007. Askari provided highly valuable information. Among other things, he reported details about the Syrian nuclear program that had been financed by Iran and built by the North Koreans. They were constructing a graphite-moderated reactor named Al Kibar that was supposed to produce weapons-grade plutonium. The United States shared these information with Israel. In fact, Bashar Al Assad had established contact with North Korea as early as June 2000 regarding the construction of a reactor. The arms cooperation between Pyongyang and Damascus is traditionally close — the despotic communist regime had already helped Syria to develop chemical weapons in the past. In 2002, the first North Korean components, technicians and scientists had arrived in Syria. The construction work, however, was concealed quite well — any communication to the outside was strictly prohibited. Trying to confirm these worrying reports, Israel’s Mossad searched Ibrahim Othman’s hotel room in Vienna in March 2007. Othman was the director of Syria’s nuclear energy commission. Carelessly, he had left his laptop in his room, which was easy prey for Israel’s agents who copied his hard drive. The data they obtained exceeded all expectations. Dozens of color photographs showed the interior of the building. There was no doubt anymore – the Syrians were building a nuclear reactor with the help of North Korea. One picture even showed Chon Chibu, a leading North Korean nuclear expert. Mossad was convinced that the sole purpose of the Syrian nuclear program was the development of nuclear weapons. The photographs also showed that the reactor was only a few months away from operational readiness. Once it was operating, an air strike would prove difficult because of the nuclear fallout. Israel had to move fast. As soon as Jerusalem was fairly certain that Syria was on the verge of activating a nuclear reactor, Israel discussed the next steps with Washington. Israeli defense secretary Amir Peretz briefed his American counterpart Robert Gates on April 18 about the Mossad’s discovery. Pres. George W. Bush, however, was careful. After the media disaster in Iraq and the alleged weapons of mass destruction that were nowhere to be found, the Bush administration wanted to avoid another mishap by any means. However, the CIA checked the Israeli findings and agreed with Jerusalem’s interpretation. Nevertheless, some high-ranking officials in the Bush administration were skeptical, fearing another uncontrollable escalation in the Middle East. The wars in Iraq and Afghanistan had already been enough on the plate for the United States. In June 2007, Israeli prime minister Ehud Olmert visited the White House. He frankly told the president that Israel might as well act unilaterally against the Syrian nuclear project, should the United States decline an operation. After Bush insinuated that he would not block an Israeli solo-action, the IDF started with the operational planning of a limited air strike against the Syrian facility. An Israeli special forces commando from the IDF’s most elite unit, Sayeret Matkal, infiltrated Syria and collected intelligence at the nuclear construction site. On Sept. 5, after weeks of clandestine political debates in Israel’s security cabinet, the IDF got the green light for Operation Orchard. In the same night, 10 F-15 and F-16 fighter jets took off at Israel’s Ramat David air base. First, they flew northwards along the Mediterranean coast, and then suddenly, they turned east along the Syrian-Turkish border. Blinding Syrian air-defense systems with electronic countermeasures and destroying a radar station, they entered into Syria’s air space. Around 12:45 in the morning, the pilots reported the successful execution of the operation. The Syrian nuclear reactor was destroyed before it could go online. The Israeli war planes returned home unharmed. The day after, Syria’s official news agency reported that Israeli fighter jets had entered Syrian air space. After having been detected by Syrian defense systems, they had dropped their ammunition in the desert and turned away without doing any harm. 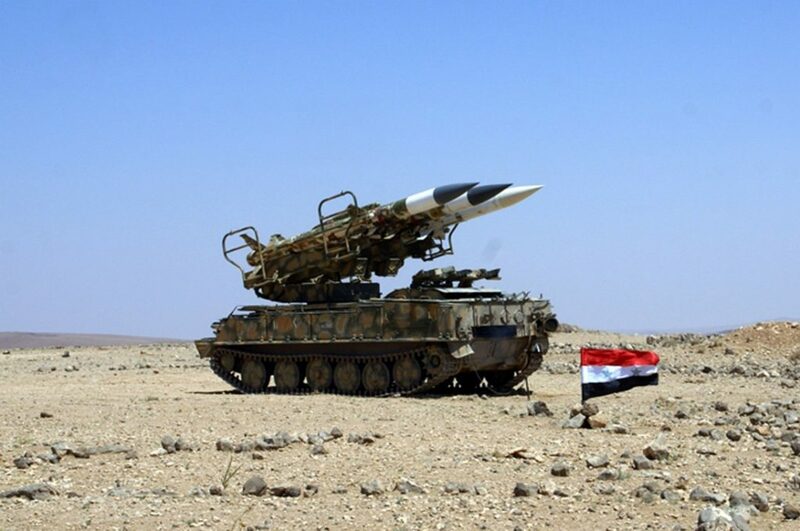 In fact, Syrian air defense had not even launched a single missile. Jerusalem had taken into consideration that Syrian missiles were aimed at several sensitive sites in Israel. Therefore, the IDF had planned the operation as minimally invasive as possible, in order not to give Assad a sufficient pretext for a response. After the strike, Israel kept silent. Luckily, everything went according to plan. Assad could save his face by denying the existence of a nuclear program and was thus able to eschew a counter strike. In the meantime, the rest of the world was puzzled for quite a while about what had really happened that night in September 2007. 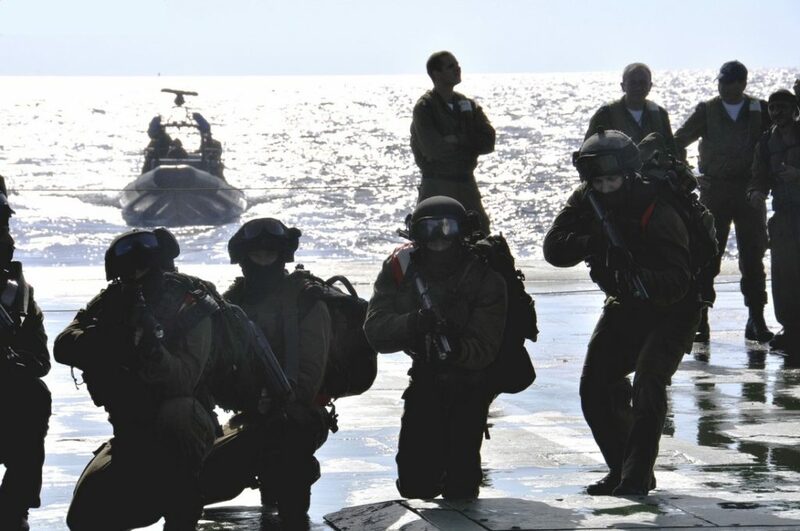 Completing the mission, Israel’s Flotilla 13 unit, the Israeli equivalent to the U.S. Navy SEALs, assassinated Gen. Mohammed Suleiman on Aug. 1, 2008. A sniper team shot him during a dinner in his villa by the sea. Suleiman was considered the power broker of Syria’s nuclear program and contact person for the North Koreans. From an Israeli perspective, Operation Orchard was a complete success. The Begin doctrine was emphasized impressively. And in hindsight, Israel’s air strike might have done the Middle East and maybe even the entire world a huge favor. Just imagine how the Syrian civil war would proceed if Assad commanded over nuclear weapons. After all, he has already proven that he does not hesitate to use chemical weapons against his own population. Even worse is the thought that Islamic State might have got its hands on nuclear weapons or radioactive material. Israel still follows the Begin doctrine. In that regard, Iran certainly presents the most pressing threat at hand. In fact, an Iran with nuclear military capabilities would be a multi-dimensional menace. First of all, there’s the possibility of a direct Iranian attack. In addition, nuclear weapon systems might end up in the hands of Iran’s local agents – most notably Hezbollah. From a regional perspective, Tehran’s nuclear capabilities would probably lead to an arms race in the Middle East that would destabilize the whole area. The Joint Comprehensive Plan of Action that had been negotiated in 2015 to limit and control the Iranian nuclear program will delay this issue temporarily at best. However, when contemplating a military strike against the Iranian nuclear facilities one has to consider that the military operation in Syria had been significantly simpler than the scenario is now in Iran. In Syria, only one site had to be destroyed, whereas in Iran, several facilities — each heavily guarded by air defense and scattered over the whole country — would have to be hit. Some sites are even underground and would require special ground penetrating bombs. Furthermore, the distance between Israel and Iran would require aerial refueling. Besides, Iran’s nuclear facilities are already operating. Their destruction would lead to a dangerous contamination. The risks for high collateral damage would be huge. Eventually, Israel would most certainly face severe counterstrikes by Iran’s local allies – namely Hezbollah. After all, a military operation – even a successful one – would only delay the nuclear program because it would most certainly not change the intentions of the regime in Tehran.